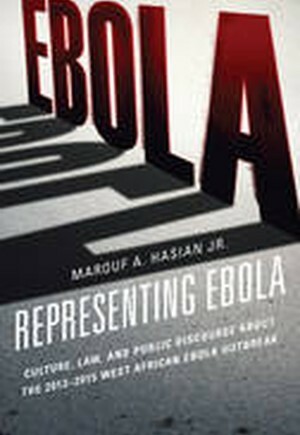 Representing Ebola provides readers with a critical legal analysis of the recent West African Ebola Outbreak. The author argues that a review of the scientific, military, legal, economic, political, and mediated coverage of this latest outbreak highlights the ways that organizations like the World Health Organization or Doctors Without Borders want to conceptualize the importance of rapid emergence from the West during African Ebola epidemics. The author concludes that while the U.S. military and other organizations prided themselves on their belated responses to this outbreak oftentimes journalists, scientists, and others overlooked the contributions that were made by contract tracers and indigenous public health workers. Sadly, the 2013-2015 West African outbreak took the lives of thousands of individuals, and the author contends that this contributed to sensationalist ways of representing local burial and food habits. The book concludes by noting that while many West African leaders appreciated the billions of dollars of promised aid that would flow toward this region in the wake of the Ebola outbreak real "health security" measures have to involve longer term infrastructural changes. Talk of how Westerners rescued the West Africans need to be augmented with more nuanced ways of thinking about how many of those who actually battled Ebola need to become part of future conversations regarding everything from theories of "aerial" transmission to the steps that need to be taken during the first few weeks of recorded outbreaks.